A multi-national contest that creates a fun way for students to learn how knowledge is built by contributing to Vikidia, the little sister of Wikipedia dedicated to children aged 8-15 years. 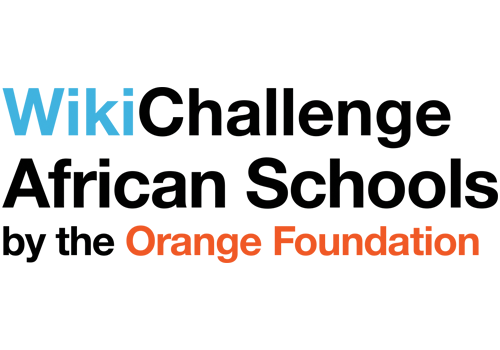 WikiChallenge African Schools is a multi-national contest that creates a fun, engaging way for students to learn about how knowledge is built by contributing to Vikidia. Vikidia is the little sister of Wikipedia, an encyclopedia dedicated to children aged 8-15 years. The contest challenges schools across the continent to compete by writing Vikidia articles about something of importance in their area. They can use the WikiFundi platform to share knowledge about their unique city, town, village or suburb, a local landmark or a notable individual. The competition is a fun introduction to writing Vikidia articles, a content that can be transferred and will add information about Africa to Wikipedia, the global online encyclopedia. It also provides young Africans with an opportunity to learn more about their communities, cultures, role models and environments. WikiChallenge African Schools was designed and created to support the development of the next generation of Wikimedia volunteers across Africa. It has been developed by Florence Devouard and Isla Haddow-Flood. The proof of concept has been conducted in collaboration with Wikimedia CH and funded by the Orange Foundation.